I thought you’d get a laugh over this. I was having my hair done so I needed to brush out my curls. My poor hair got bigger, fuzzier and crazier with every brush stroke. All the ladies in the salon got a good laugh over my wild, huge head of hair. One said I should challenge Dolly Parton to a big hair contest. I would, but I’m afraid I might actually win! Ever have one of those weeks? No matter what you do, who you delegate to, or no matter how many hours you spend doing what you think you’re supposed to do, it just gets wilder and crazier. That’s what happened to my crazy hair. The harder I worked at brushing it and calming it down, the crazier and more out of control it got. You’ve heard that the definition of insanity is doing the same thing over and over while expecting different results, right? Like with my hair, I kept doing the same thing hoping it would get smooth and shinny. It was only when my hair brush was taken away and we started working differently that the results came out much better. Here are 10 ways for you to start working differently so you can go from crazy and out of control to smooth, together, and silky . . . I mean organized. 1. Break big projects into smaller more manageable pieces. Delegate and work at one piece at a time. 2. Pick specific times of the day to check and answer email. Check it only during those times, handle the mail, delegate the mail or delete. That way you don’t have to keep visiting the same issue over and over. 3. Have a regular team huddle. In football they come together for a couple of minutes to go over the plan and then execute. Use that model. Bring key team members together for 15 minutes, talk about the plan and the priorities, then execute and implement. 4. Create role descriptions for key team members so they fully understand what is and is not their responsibility. 5. Stop and explore some of the intermediate to advanced features of the technology you already own. Most people use a fraction of what their software is capable of. Utilize the technology you have to automate and streamline tasks. 6. Implement a screening process. Have a series of questions you ask potential clients so you can quickly tell if they are a good fit for your programs. 7. Create general scripts and FAQs so team members can answer questions and handle clients for you. You don’t have to write word for word scripts, but a general overview gives your team members the power to handle things without having to stop and ask you every minute. 8. Have your team members create templates and checklists wherever and whenever they can. Then make sure they are using them. 9. House frequently used scripts, checklists, templates and processes online so your virtual team has access to the tools they need to get things done faster. Try something like Google Docs or Officezilla. Both are free tools that are easy to use. 10. Create a production schedule that plots your regular marketing efforts. Things like newsletters, direct mail, teleclasses, JV promotions, etc. This will establish the deadlines when things need to be released. Then work backwards to figure out when the work needs to get done to meet those deadlines. Just look at the difference a change in operations made to my hair. Imagine what it can do for your business. © 2011 Beth Schneider, Process Prodigy, Inc.
Want to reprint this article? Feel free as long as you include the following: Beth Schneider, President of Process Prodigy Inc., www.processprodigy.com, along with her team of highly sought after operations consultants, reveal the insider secrets billion-dollar corporations pay thousands of dollars for. Specializing in process creation, Process Prodigy tools and techniques have helped entrepreneurs increase productivity by as much as 600%, and revenues by as much as 250%. Visit http://www.processprodigy.com/ezine and grab your FREE systems starter kit valued at $297.00. Learn more about how to delegate and get more things done in less time on this one time FREE training webinar “Keep the Passion/Lose the Busywork! 3 Simple Secrets Super-Successful Entrepreneurs Know that You Don’t!” on Oct. 27, 4pm Pacific/7pm Eastern to help business owners take back that passion in their companies. Head over to http://tcub.readytoplaythegameoflife.com/delegate to register. Are you feeling tired of spending days on the details of running your business? Do you wonder what happened to the passion you felt, when you began it all? 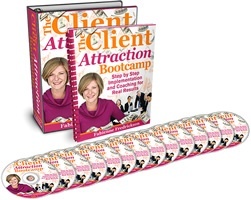 My friend Beth Schneider will be hosting a FREE training webinar “Keep the Passion/Lose the Busywork! 3 Simple Secrets Super-Successful Entrepreneurs Know that You Don’t!” on Oct. 27, 4pm Pacific/7pm Eastern to help business owners take back that passion in their companies. Beth is the CEO of Process Prodigy, and she’s helped me greatly improve my business’s process and administration in the past. Do you remember why you started your business? What happened to the time you had to become the best around (let alone actually enjoy life!)? If you’re tired of spending days on the details of running your business, and are ready to do things differently, this webinar is for you. P.S. You know you can’t do it alone, so dare to get some help and do the work you are meant to do.